Debunking conventional wisdom that women had little impact on politics after gaining the vote, Kristi Andersen gives a compelling account of both the accomplishments and disappointments experienced by women in the decade after suffrage. This revisionist history traces how, despite male resistance to women’s progress, the entrance of women and of their concerns into the public sphere transformed both the political system and women themselves. Andersen shows how women’s participation was based on a conception of women’s citizenship as indirect and disinterested. 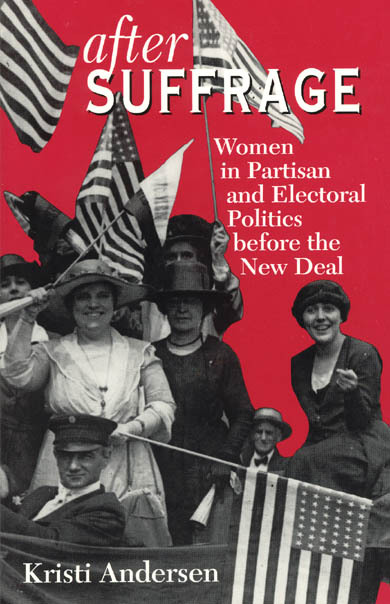 Gaining the right to vote, campaign, and run for office transformed women’s citizenship; at the same time, women’s independent partisan stance, their focus on social welfare concerns, and their use of new political techniques such as lobbying all helped to redefine politics. This fresh, nuanced analysis of women voters, activists, candidates, and officeholders will interest scholars in political science and women’s studies.